On behalf of the members of the Montana State Society Daughters of the American Revolution, I welcome you. Our state theme for 2016-2019 is "LEARN from the Past ~ CELEBRATE America! ~ HOPE for the Future." Our national motto is "God, Home and Country." The 2016-2019 theme of the NSDAR, under the leadership of President General Ann Dillon, is "Moving Forward in Service to America!" The NSDAR, founded October 11, 1890 and incorporated by an act of Congress in 1896, has more than 180,000 members in 3,000 chapters in all 50 states, the District of Columbia, and international chapters in 12 countries. 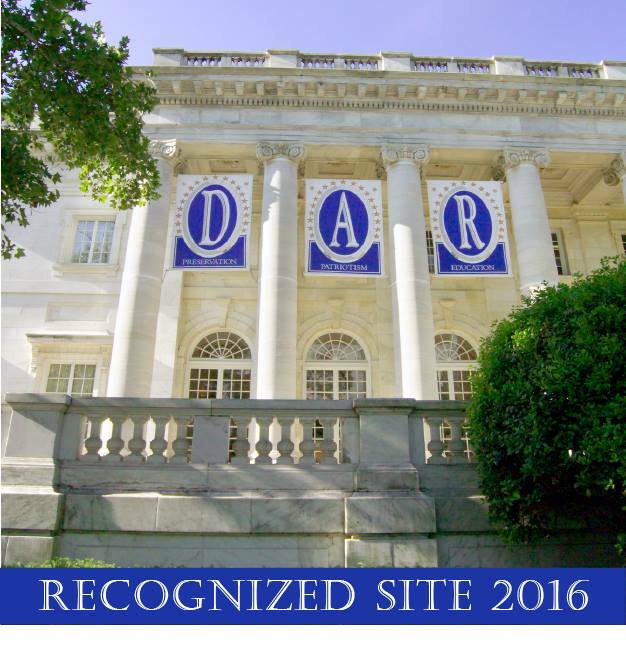 Headquartered in Washington D.C., one block from the White House, NSDAR is a non-profit, non-political women's service organization dedicated to promoting historic preservation, education, and patriotism. Members say, "I LOVE DAR," because of the friendship, fellowship, and fun of being with women who prove and perpetuate the memory of their ancestors who sacrificed so much to achieve American independence; women who now are working together for the purpose of cherishing, maintaining, and extending the knowledge and institutions of American freedom for which so many have fought and died. ​We welcome your interest in MSSDAR organized in 1894 and hope you too will trace your lineage to a patriot of the American Revolution and then honor their spirit and your heritage by membership in the NSDAR. DAR is open to any woman 18 years or older, regardless of race, religion, or ethnic background who can prove lineal, bloodline descent. ​Please enjoy our MSSDAR website. Search the links to learn about individual chapters, patriots, state officers, membership. You will be amazed by the vast array of genealogical resources available to aid your search. We have 11 chapters located throughout the state with over 550 members. Click to "Connect" with us. A Daughter will invite you to a meeting, support you in exploring possible membership, and assist you with the application process. We now have trained genealogists ready to help you! ​I welcome you and hope you will consider joining us as we LEARN from the Past and CELEBRATE America! We are committed to working together in our service to God, Home, and Country, recognizing that our great nation came to fruition as a beacon of hope by our bedrock principles of faith and freedom. ​Motto: Working together smarter, not harder! Website maintained by Riva Amundson, Montana State VIS chairman. This page was last modified on May 11, 2018. Web hyperlinks to non-DAR sites are not the responsibility of the NSDAR, the state organizations, or individual DAR chapters.